So finally the wait is over and Shahid has shared the name of the junior Kapoor. Mira Rajput and Shahid Kapoor have named their second child Zain Kapoor. Mira's mother Bela Rajput was also pictured at the hospital. We are overjoyed and so grateful. While the actor's mother Neelima Azeem and brother Ishaan Khatter were spotted at the hospital on Wednesday night, Shahid brought his little daughter Misha to meet her brother on Thursday afternoon. A baby being born in any house is a matter of sheer joy and excitement. Shahid revealed the name of their new family member today as it's her wife Mira's birthday too. "I wish Shahid and Mira all the very best and many congratulations". "It's the most delightful thing that can happen to any family". Mira also shared in an interview how supporting her husband has been throughout her pregnancy. Shahid's family is now complete. After months of doting over Misha, we can now add another little one in the list. "We are thrilled about the new arrival", he said. 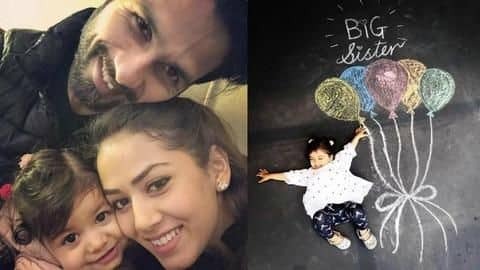 Shahid had announced Mira's second pregnancy with an adorable post featuring "big sister" Misha in April this year. On the professional front, the actor will next be seen in Batti Gul Meter Chalu.